Photographer Lincoln Pilcher shares his inspired horse imagery and the magnificent beasts that prompted a fund-raising effort Thanksgiving weekend. 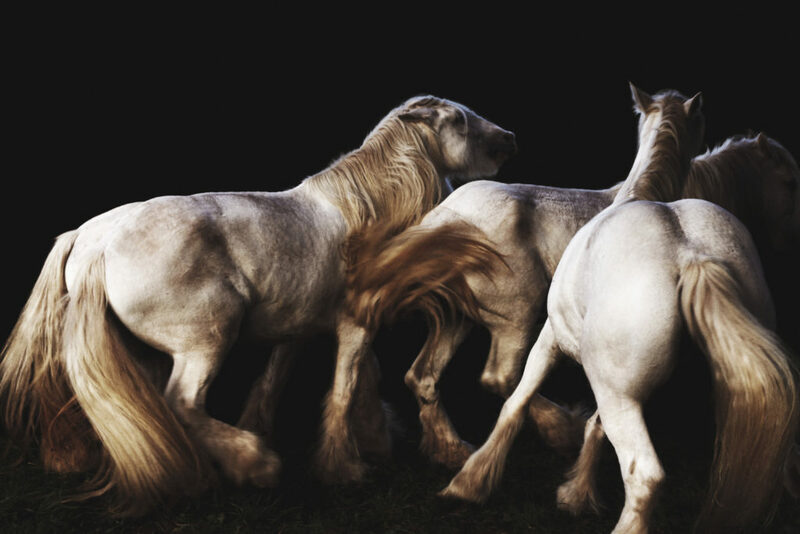 Photographer, restaurateur and native Australian Lincoln Pilcher has set his focus on horses—saving them, in particular. 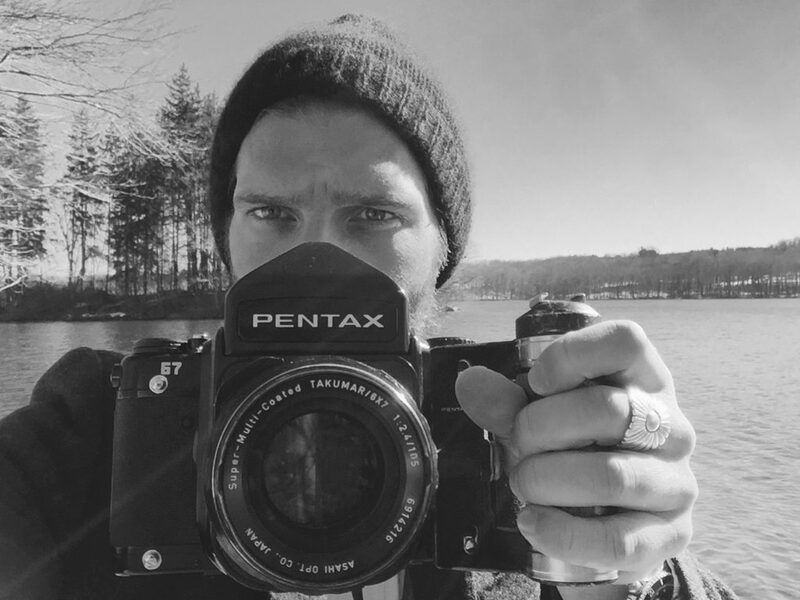 The East Hampton lensman is presenting his first solo exhibition in East Hampton titled “White Shire” at Dune Alpine Barn, which is up until the New Year. The collection of photographs captures the beauty and stature of four White Shire horses with legendary history going back to Roman times when they were revered for their strength, courage and discipline in wartime. The White Shire horses, also known as War Horse, were running out of funds for their shelter, food and general care. So Pilcher, who discovered these beauties at the farm this summer, endeavored to photograph their magnificence with a mindful eye toward raising awareness and funds to keep them housed and cared for. All proceeds of print sales from the exhibition and donations will go toward that goal. For more information or an appointment, please contact info@pilcherprojects. Cristina Cuomo: How did you get into photography? Lincoln Pilcher: Since I was a kid I was immersed in photography. My mother worked in the industry—she was Editor of Australian Vogue. I studied photography before coming to New York in 1999. It has always been a passion of mine. CC: When did you discover the Hamptons and what hooked you? LP: I first came to the Hamptons fifteen years ago when I was working for photographer Bruce Webber, who had a house out in Montauk. Being a surfer, and seeing the beauty of this place, I was instantly hooked. Living in the best city in the world and having the surf so close is the dream! CC: What subject matter do you love to photograph the most and why? LP: Nature and animals have been a visual draw for my work. 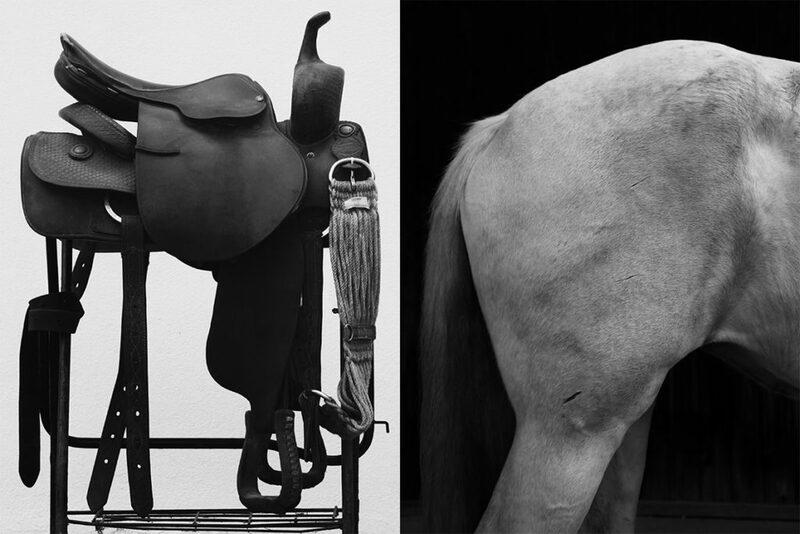 Before I moved to New York, I lived in Montana, studying under a photographer, and that is where my love of shooting horses developed. Human characters are always fun to capture too! CC: How did you encounter the White Shire horses? LP: I encountered the White Shire horses this summer on a morning run and was captivated by their presence in this sunlit open pasture on 27. I took a camera the next day and shot from in front of the fence and a photo I got blew me away. I knew I had to get into the fields and work with them. CC: What is your relationship with the horses? LP: After spending the past four months with Gunner, Patsy, Isabelle, and Tess, I have a special camaraderie and bond with them. They each have distinct personalities. They love to be close to you and are such sweet, gentle giants. Steel toe boots were an early purchase! CC: What inspired you the most about these particular White Shire horses? LP: Their beauty, and the combination of shear strength and peaceful disposition. 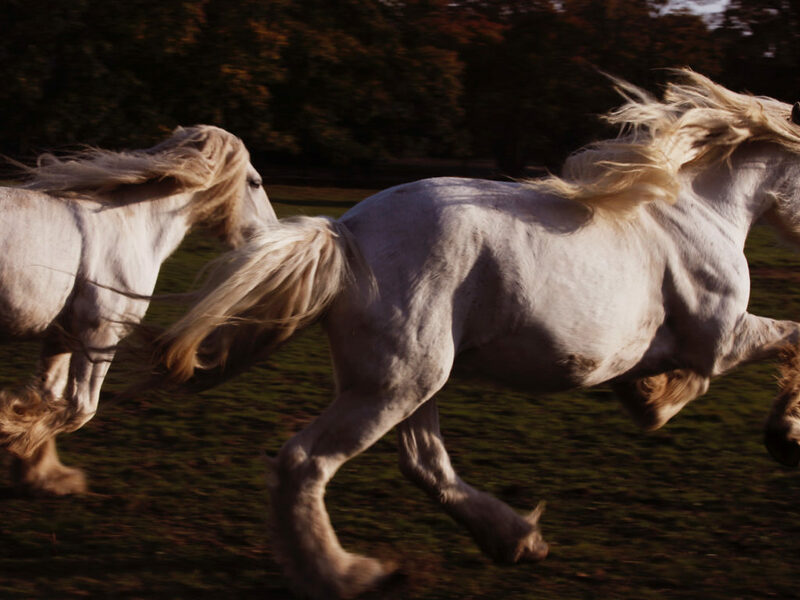 CC: You really capture the free spirit and brave nature of these horses in your photographs, but how are they truly in a vulnerable position now? LP: The horses, I learned early on, did not have a home to spend the cold winter in or the means to be kept and cared for in the manner they need. I decided to generate awareness of their plight through photography. With the help of their owner, Marylou Kaler, who found them four years ago being mistreated and malnourished in Ridge New York, I was able to gain access and create the images. 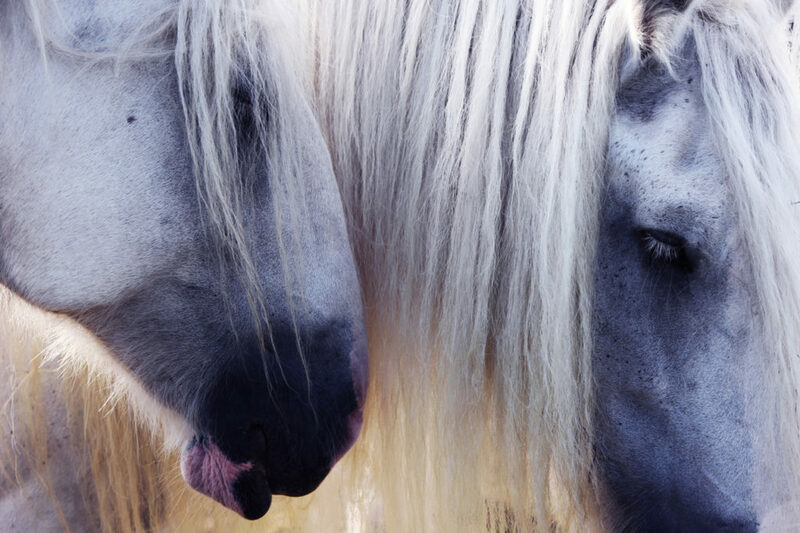 These White Shire are free-spirited and brave and have a cult following in the community. Children visit them daily, taking carrots and apples, which the horses thankfully and gently eat. CC: What would you like to see happen from this fund-raising effort? LP: The goal of this fundraising effort is to provide food and a warm barn for them this winter, and to provide them with the correct medical attention. They have just had their ‘nails’ done this week in preparation for the show! CC: How can our readers help? LP: You can help by coming to the exhibition opening on Friday the 24th of November from 5PM-8PM or for viewing it on Saturday the 25th from 3PM-8PM at Dune Alpine Farm Barn and buy a print! You can also visit pilcherprojects.com to purchase images—proceeds go to support the cause. Readers can also donate to Marylou Kaler’s non-profit 501c fund, Stable Environment Equine Rehabilitation by mailing a check to Equine Rehabilitation, PO Box 2315, Amagansett, NY 11930.